15 - 17 April 2014Private troubles or public issues? When the very idea of welfare state is undermined, researchers, scholars, practitioners in social work are challenged to connect their endeavours to the core of social work mission and the support of social solidarity. The conference offers a space to present, discuss, and promote studies and research approaches, aiming at qualifying social work practice as well as the public accountability of social work profession. 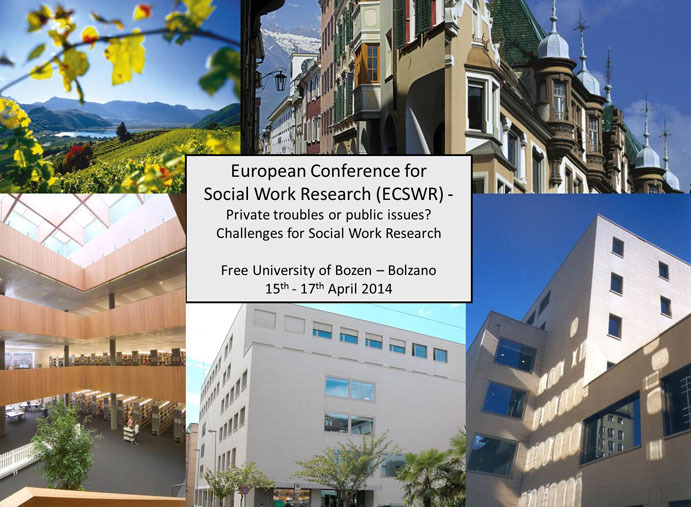 The University of Bolzano and its international partners warmly welcome applications to participate in the 4th European Conference for Social Work Research. Thank you again for participating in the conference: it was really exciting for us having you all here! 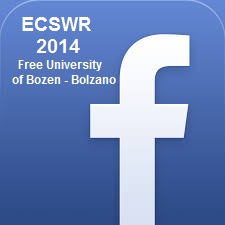 Please note that 5th European Conference for Social Work Research will take place in Slovenia from 22-24 April 2015. Find more information here. You also can find more information about the European Social Work Research Association here.